Oh, those mamas in our lives, we love them SO much we can hardly stand it and we’re sure you feel the same way! That’s why we’ve come up with a super simple idea to make Mother’s Day special and we can’t wait to share. 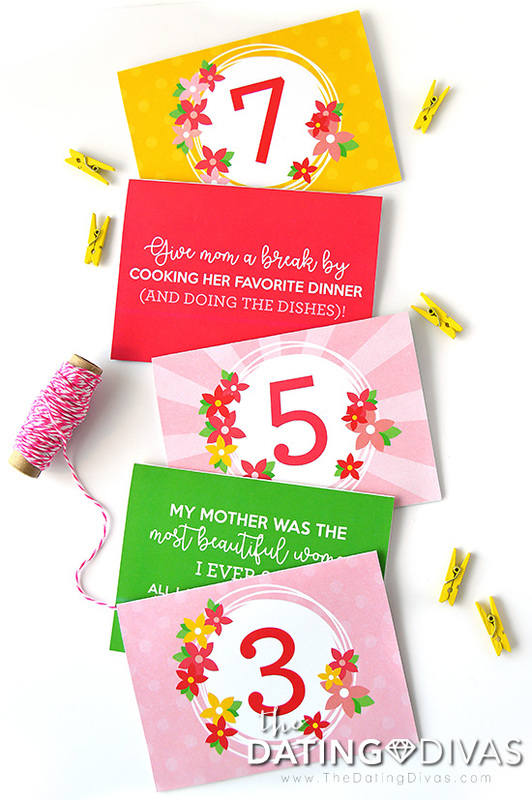 Our numbered Mother’s Day Quotes & Service Countdown chain is bright, cheery, and full of mom-approved goodness she’s sure to love. It also showcases a corresponding set of super cute mother’s day ideas. Seriously, how much fun is that?! Ready to take a look? Let’s go! But first, we gotta give a mama-sized bear hug of a “Thank you!” to the one and only Carisa from Messes to Memories. 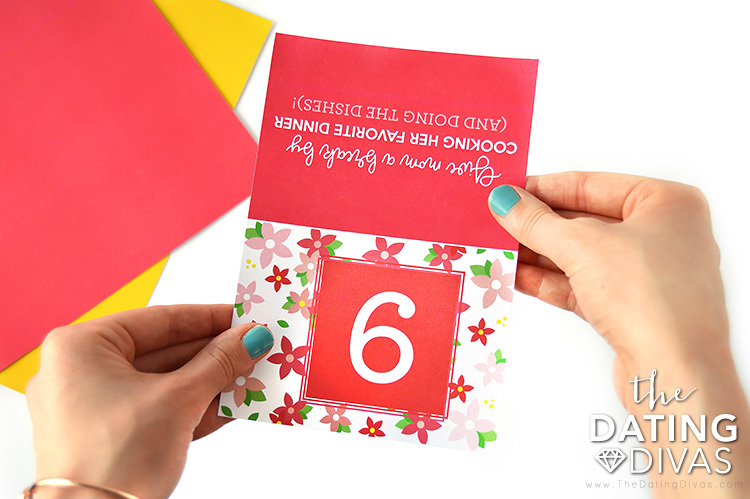 She designed these fabulously floral Mother’s Day countdown cards for us and we just couldn’t be happier! Seriously, these bad boys are bursting with sunshine! Thanks again, girl! Okay, let’s get into the nitty-gritty of this fabulous idea. 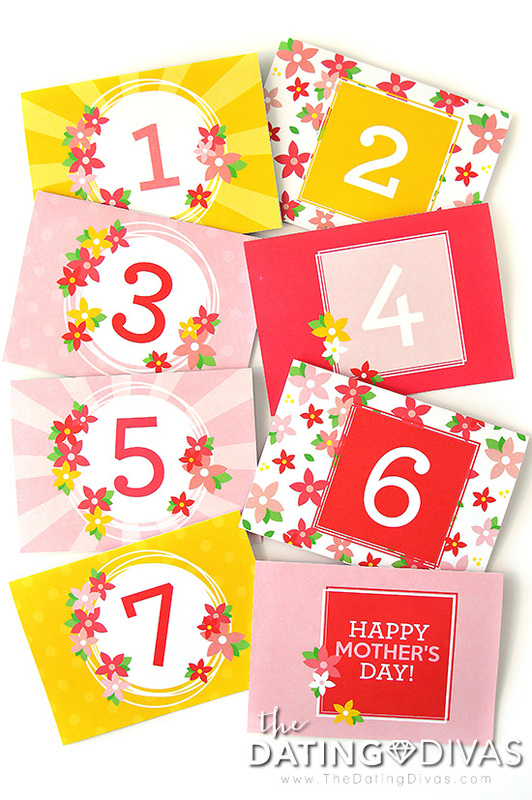 Your printable set of Mother’s Day quotes service countdown cards was created to not only show Mama just how wonderful she is but also to make a B-E-A-U-T-I-F-U-L decor item! How’s that possible, you ask? When assembled, your 8-day countdown takes the form of a fabulous garland, just perfect for adorning that mantle, bookshelf, or fireplace. 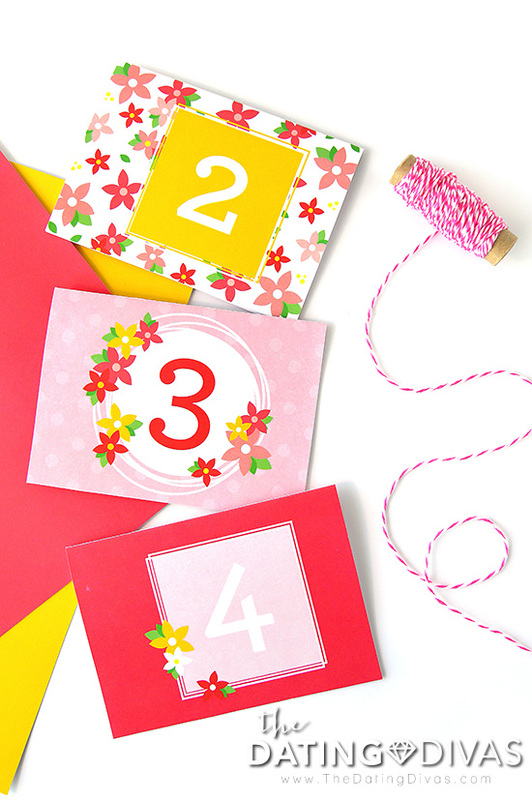 Assembly is super simple and a total breeze so there’s no excuse NOT to create this Mother’s Day craft. 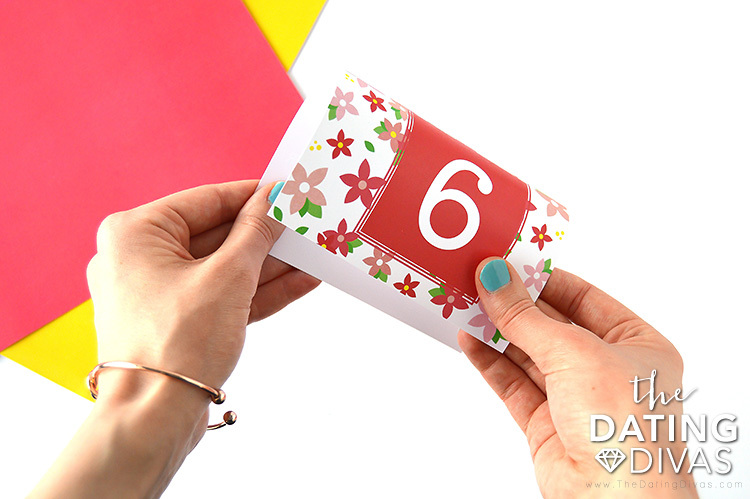 We want to help you simplify, so we’ve designed each card to be double sided with a fold line down the center. One side of each card contains a darling numbered design (ie. the number of the day!) while the other sides showcase our fabulous Mother’s Day activity ideas or quotes! There’s no doubt in our mind that she’s sure to love it! As mentioned above, assembling your ultra-cute set of Mother’s Day activity ideas and cards is a snap! Plus, if you save this idea to one of your Pinterest boards, it’ll be easy to refer back to if you need help! Keep reading for more detailed instructions or feel free to skip on ahead for an in-depth look at those darling quotes and service suggestions. 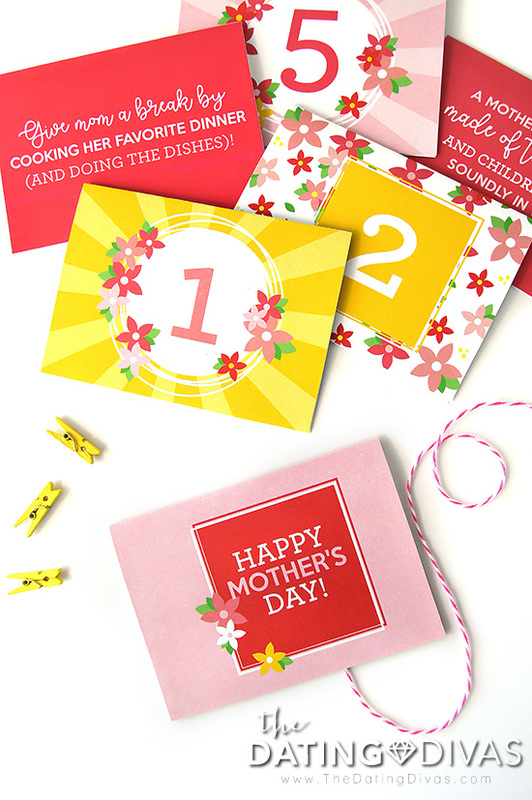 Step 1- First up, you’ll want to go ahead and print your Mother’s Day quotes and service countdown pages (find them at the end of this post!) on good, sturdy paper. We always recommend cardstock as it will really help your printables shine and is super easy to work with! Step 2- Cut around each countdown card. Remember each card was designed to be folded back on itself (easily creating a front/back) so be sure not to cut through that center line! Step 3- Raise your hand if you love a good folding sesh! This next step is incredibly easy and we’ve got the photographic evidence to back it up. Just take a peek below for a quick tutorial on folding your cards, thereby creating a marvelous, double-sided piece of art. At this point, you’ll probably want to slip a piece of double-sided tape between the two sides or apply some glue to keep that front/back fold secure! Step 4- Gather your baker’s twine in the color of your choosing, and measure out approximately how long you would like your garland to be. Cut your string and lay it on a flat work-surface. Step 5- You have two options at this point- you can have your Mother’s Day Quotes and Service countdown count backward from 7 (ie. 7-6-5-4-3-2-1-Happy Mother’s Day!) OR you can choose to have it count forwards (ie. 1-2-3-4-5-6-7-Happy Mother’s Day!). Either way will work just fine as long as the very last card is the big kahuna! Whichever way you choose, now’s the time to lay out your cards underneath your baker’s twine and play around to figure out which spacing appeals to you the most. Step 6- Grab those darling lil’ mini clothespins (again, regular sized clothespins WILL work in a pinch as will things like paper clips or mini binder clips) and begin attaching your cards. Step 7- Carefully hang your newly minted countdown garland in the space and area of your choosing. Step 8- Color yourself DONE! Seriously, who knew Mother’s Day crafts could be SO simple? We LOVE giving our readers as in-depth a look as possible and these special countdown cards are no exception! As previously mentioned, the back-side of each card contains heart-warming Mother’s Day quotes or nifty little service ideas to really show her some lovin’. The Mother’s Day quotes and service ideas alternate by day so you always know which to expect. Take a peek at just a few of the included items and get ready for that mama-lovin’ heart of yours to melt a little. Write a heartfelt message to mom and leave it somewhere for her to find! Give mom a break by cooking her favorite dinner (and doing the dishes)! Now that you know the in’s and out’s of this one-of-a-kind countdown idea, it’s time to make the magic happen! Start by planning when you’ll begin your Mother’s Day Quotes Countdown idea. Make sure the final day is, in fact, the day of all-things-mama! 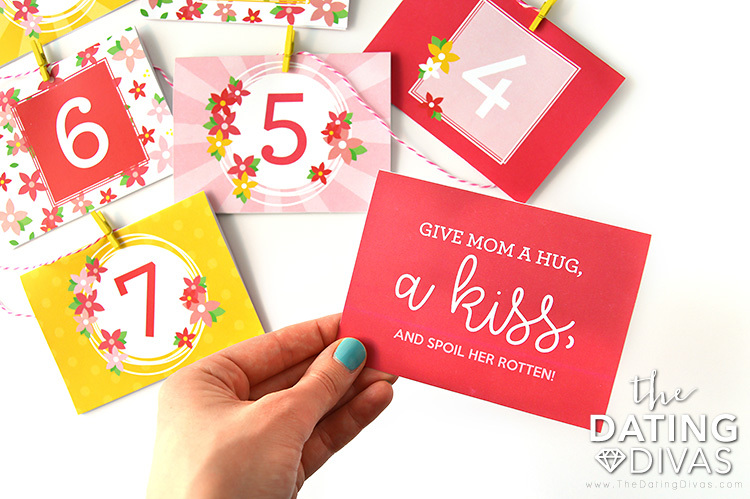 Each day you’ll remove that card and either read the printed Mother’s Day quotes to mom OR perform the activity ideas listed. Definitely feel free to make changes to reflect your family, schedule, and situation. Just remember the point of this whole idea is to shower mom with as much love as possible. 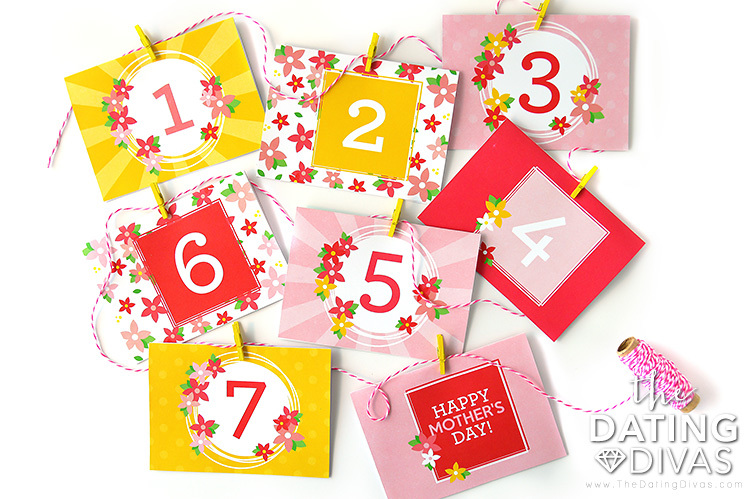 Best of all, the countdown garland and cute Mother’s Day quotes can be recycled year after year to make every Mother’s Day special from here on out! What a total win. For a real mom-approved treat that can’t be beat, this Mother’s Day countdown idea is IT. Happy Mother’s Day!